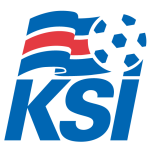 Iceland's national men's football team won its first UEFA EURO 2020 qualifying match against Andorra on Friday, RÚV reports. TIRANA, Albania — The Albanian soccer federation hired Edoardo “Edy” Reja on Wednesday to coach the country's national soccer team. Four years ago, Iceland narrowly missed out on a spot at the World Cup, as they suffered heartbreak in a two-legged play-off after losing to Croatia. Flash-forward a few years later and they topped a group that included Croatia, forcing their opponents, who finished second to have to try their luck in the play-offs, and now the debutants are at their first ever World Cup. Heimir Hallgrímsson was on the bench alongside Lars Lagerbäck as Iceland made a huge splash at EURO 2016 and endeared themselves to football fans worldwide. Against all odds, the tiny nation made an impressive run to the quarter-finals, beating England along the day. Iceland are the smallest ever nation to qualify for a World Cup, and given their past history at the EURO tournament, they shouldn't be underestimated. Argentina are the big favorites to top the group, but they certainly could beat Croatia as they've done it already and are very familiar with the Vatreni's playing style (having played against them four times previously). Nigeria are another team that Iceland will feel they can match wits against and battle for a runners-up spot. The team, nicknamed Strákarnir okkar (Our boys) are heading into this tournament not fearing anyone and will certainly make a serious claim to throw their hat in the ring to create a very interesting three-way battle for second spot in Group D. The round of 16 is absolutely their minimum objective having impressed at EURO 2016. Here's a pretty cool fact: In addition to managing the national squad, Hallgrímsson also is a practicing dentist! He actually worked part-time in dentistry until taking over as sole manager of the Icelandic squad after the EURO 2016 tournament. Samúel Friðjónsson, Albert Guðmundsson, Rúnar Alex Rúnarsson, and Frederik Schram are among the newer faces who are part of this historic squad. Everton star Gylfi Sigurdsson is arguably the most well-known player within Iceland's squad, and notably represented them at their first ever major tournament two years ago. Another notable veteran is Emil Hallfredsson, who will be a familiar face to Italian football fans due to spells with Hellas Verona and most recently, Udinese.